The term ‘soft skills’ might not sound impressive at first, but when it comes down to succeeding in the workplace, it is often the soft skills, rather than the major qualifications, that really make the difference. Let’s take working in an accounting firm as an example. Imagine that there is an accounting firm in Johannesburg that is advertising 10 entry-level positions for junior accountants. The minimum requirement is that you hold a 3-year accounting qualification. With your AT(SA) qualification (NQF3 – NQF5) from Credo Business College, you manage to secure one of these positions. The other 9 positions are filled by 9 other accountants with the same level of qualification. After 2 years of working for this firm, a more senior position opens up in your department. One of you is going to get promoted. But if you all hold the same level of qualification, and you all have the same level of experience, how does your employer make the decision to promote you? The thing that sets you apart in a workplace filled with other equally qualified employees is your workplace skills (or soft skills). These are the basic professional aptitudes, personality traits, professional habits, and leadership qualities that you need to succeed in any kind of work environment. Assertiveness and Self-Confidence In big meetings, you might be too shy or self-conscious to speak up and give the boss your input. If you develop some assertiveness and confidence, you will be able to make your boss, and your co-workers, take notice of you and your ideas. Attention Management The workday is long, and you might struggle to focus for more than the first few hours of the day. If you develop techniques for staying focused throughout the day, you will get more work done, deliver higher-quality work, and stand out from your less productive co-workers. Business Writing Accounting students don’t normally take language courses while they are studying. But knowing how to write an impressive and articulate email, proposal, memo, or report will make you come across as a well-rounded and more mature professional. Communication In any workplace, communication is key – whether you are working in a team or whether you merely need to report to a superior. If your communication skills are good, your relationships with your co-workers will improve, there will be fewer errors in your team projects, and your superiors will trust that operations will run smoothly if you are involved. Critical Thinking and Problem Solving It doesn’t matter what industry or profession you work in – there will always be problems that seem like they have no solution. Imagine if you could be the one to solve the big dilemma even your manager couldn’t solve. Meeting Management Is your manager out for the day and can’t lead the weekly meeting? Who is he or she going to ask to take this role and ‘manage’ the meeting while he or she is away? If you have demonstrated the skills needed to lead meetings, your manager will entrust you with this managerial role whenever the need arises. Presentation Skills What if you had the skills to captivate your audience and make them believe in your abilities, rather than stumble through a boring presentation that annoys your bosses? Good presentation skills are one of the best ways to impress higher-ups whenever you have an audience with them. 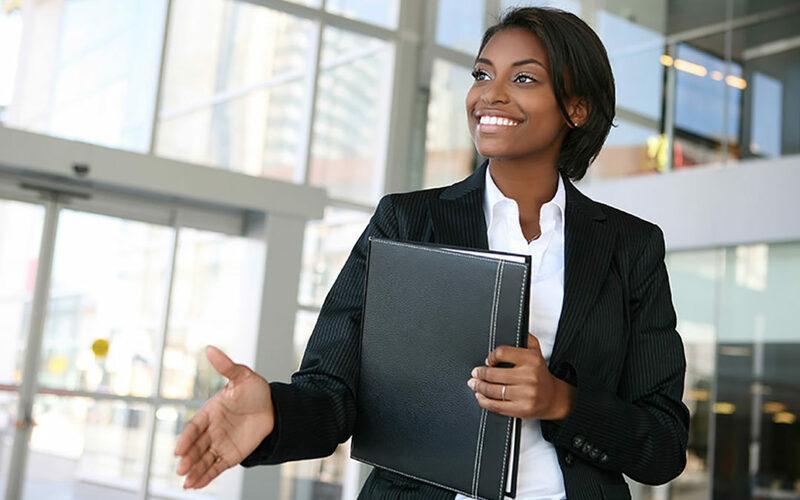 It won’t be the credentials you used to get the job, but how you conduct yourself and perform your day-to-day duties in the workplace, that will help you stand out from other professionals in your organisation. What is the best way to develop soft skills? Certain soft skills can be practised with a little bit of patience and self-discipline. Do you want to increase your productivity? Then you can start by planning your days using a calendar and daily to-do lists and forcing yourself to stick to them. Most soft skills, however, are difficult to develop fully on your own. You can’t, for example, really teach yourself how to do perfect presentations. For that, you will need some formal training. If you are interested in developing the soft skills that will help you stand out in your workplace, and maybe even earn that promotion, then Credo Business College is the right choice for you.